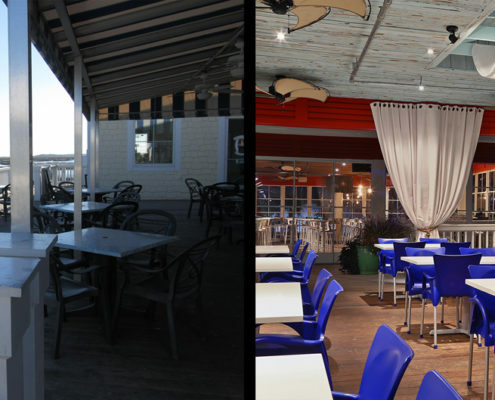 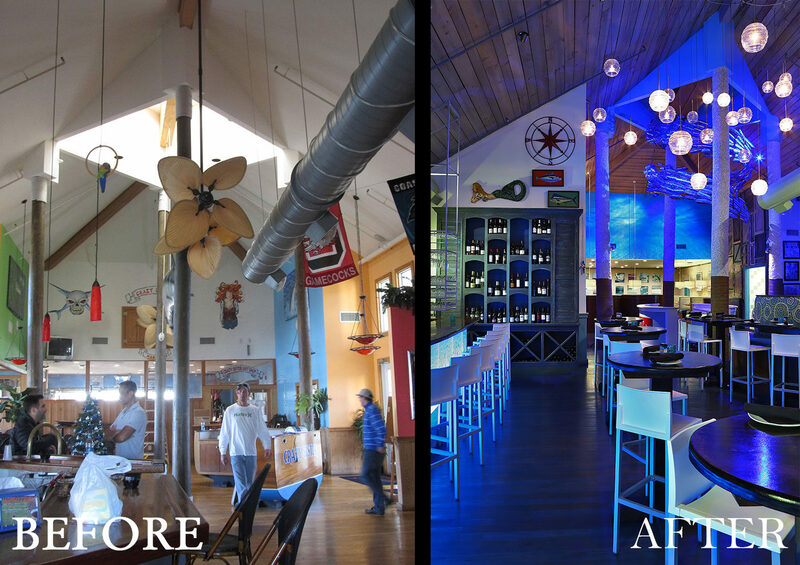 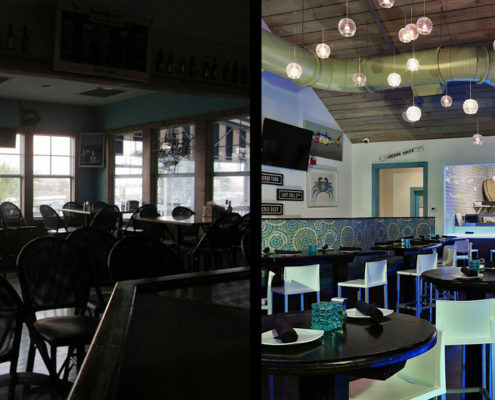 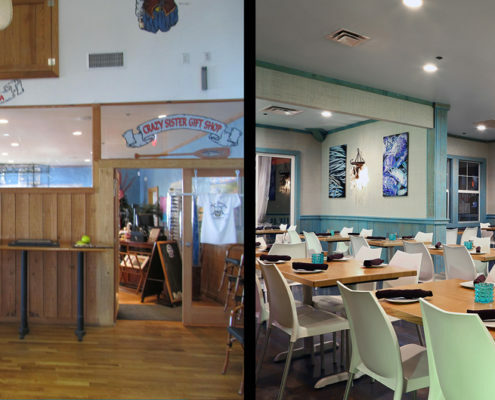 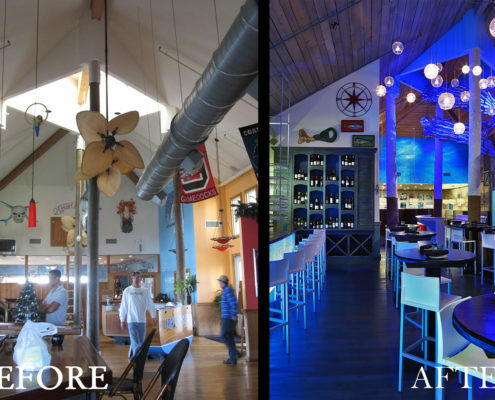 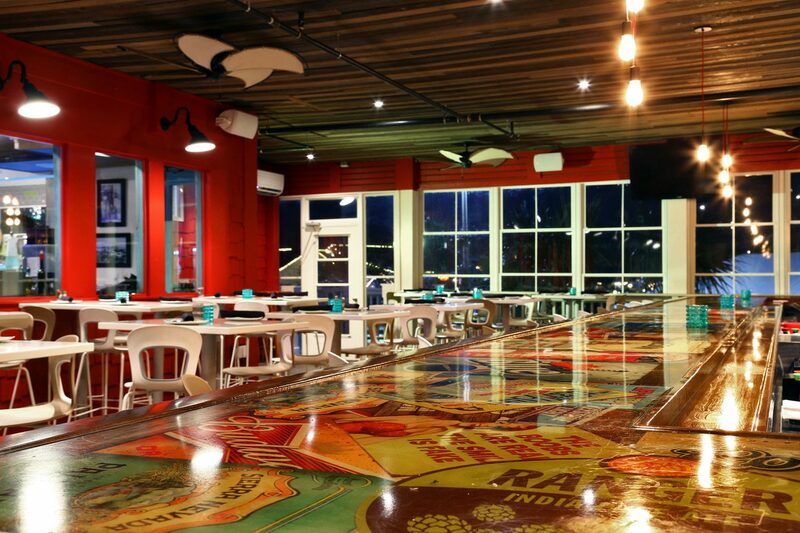 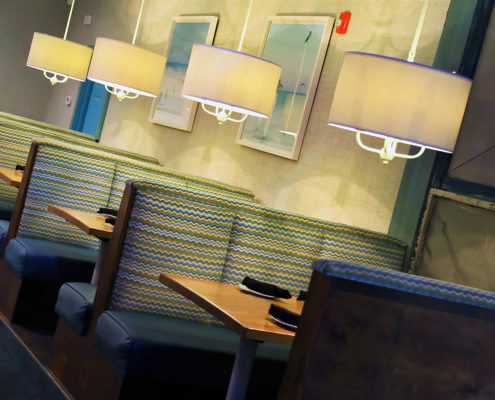 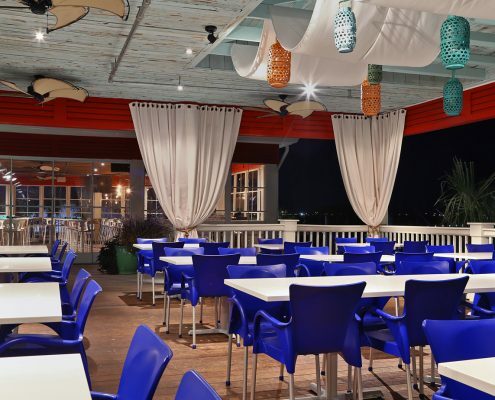 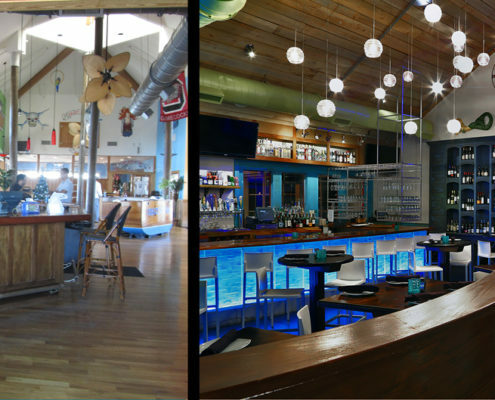 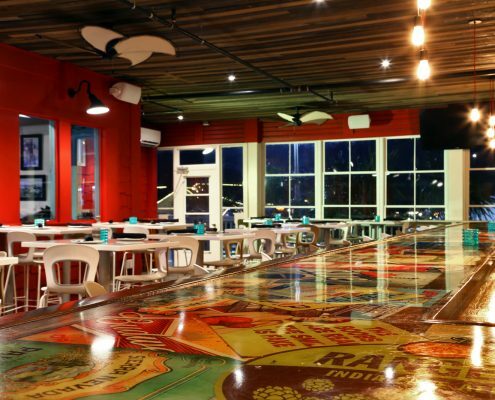 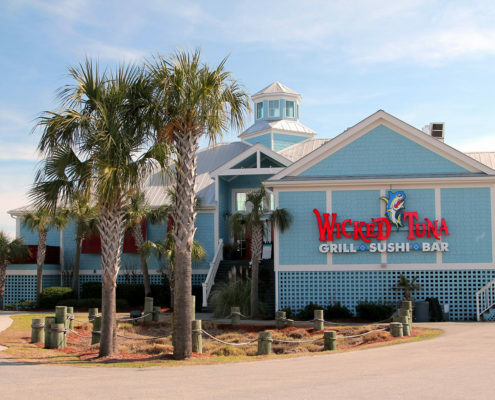 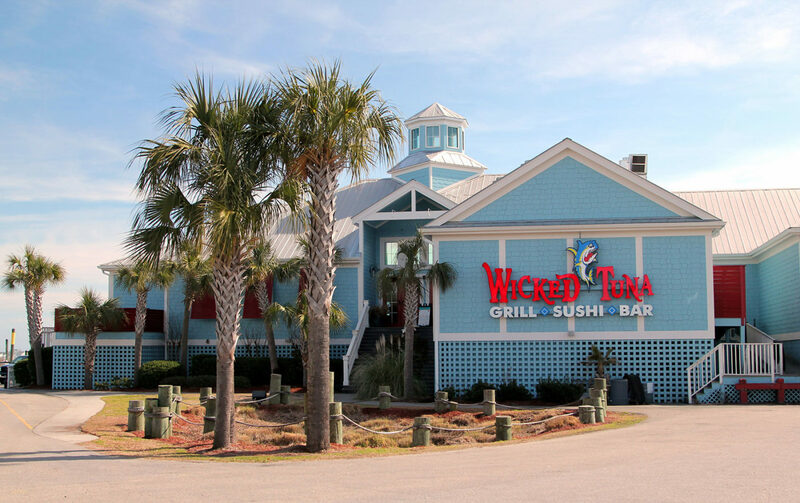 This Murrells Inlet major remodel required a design concept that set this waterway property apart from its neighboring restaurants. 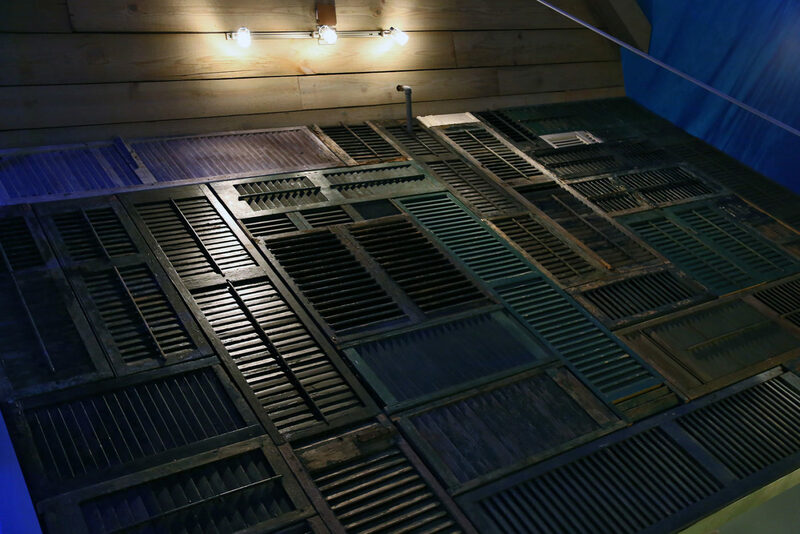 Bright blue paint and red louver details were added to the exterior. 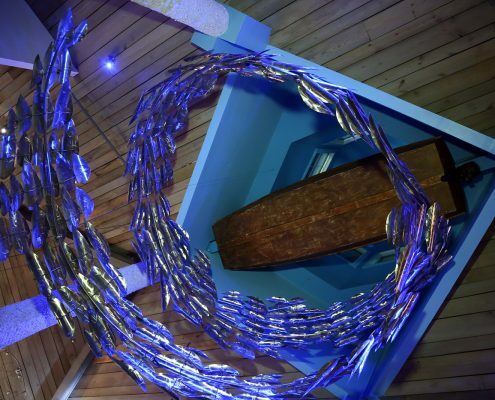 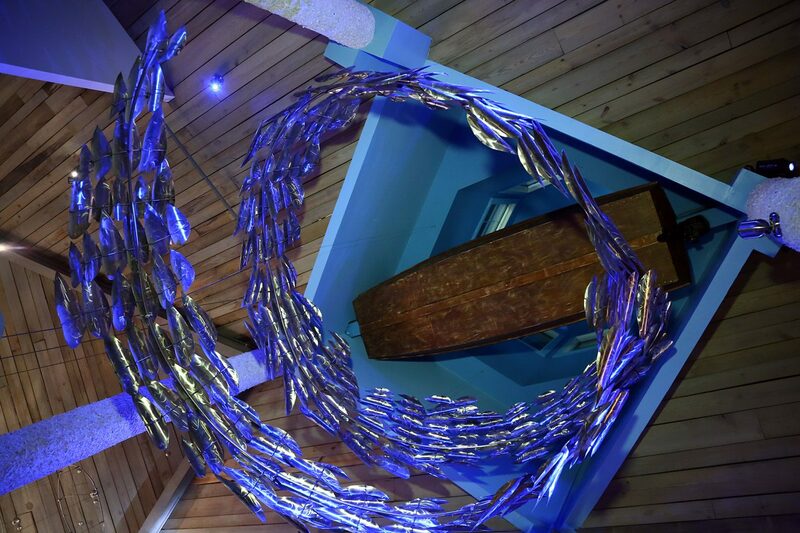 A large metal fish sculpture, an old john boat, and moving water simulators, provoking an “under the sea” illusion, provide a dramatic entrance. 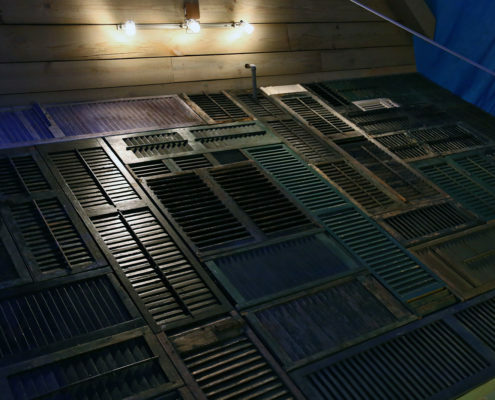 Original Charleston plantation shutters and screen doors are placed on opposing walls. 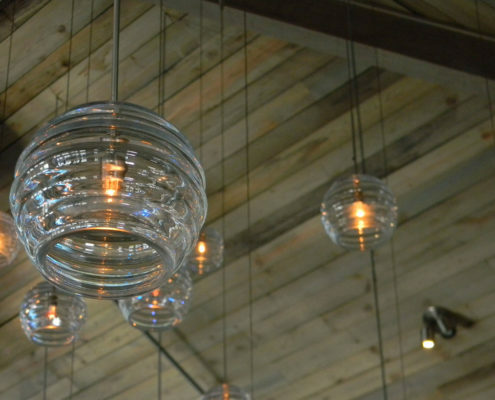 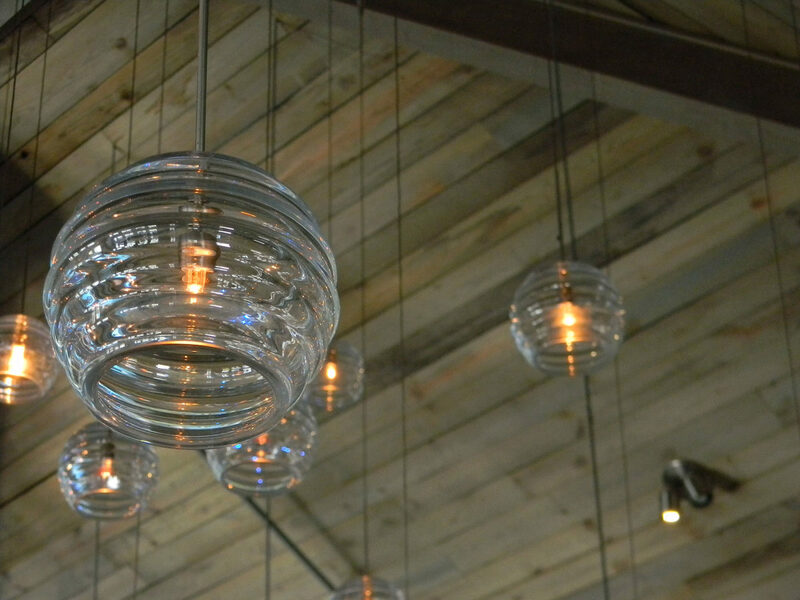 Ceilings are covered in 200 year old wood planks from a local Saw Mill. 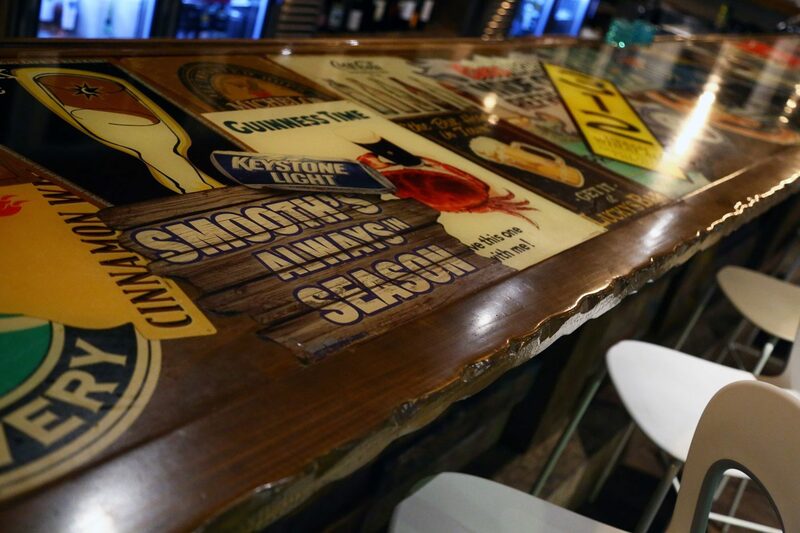 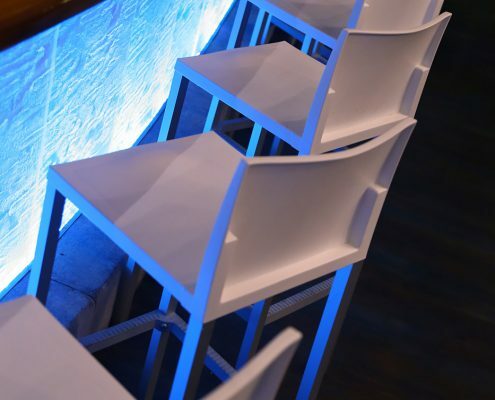 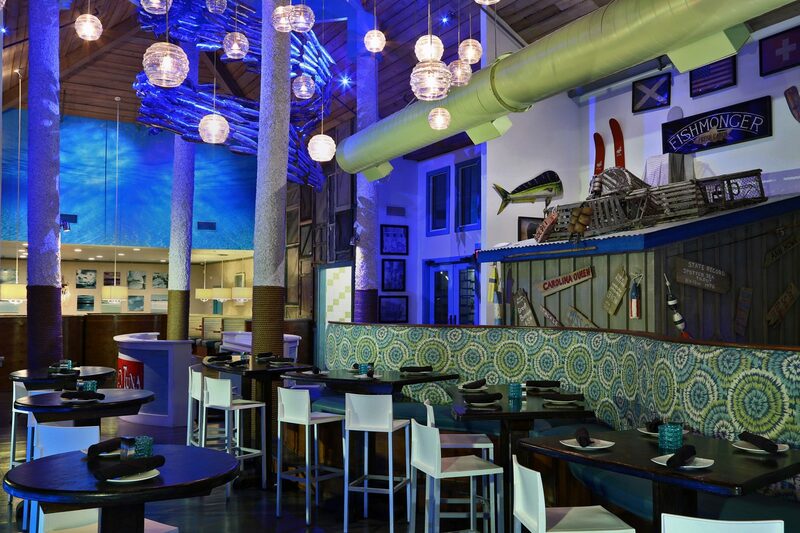 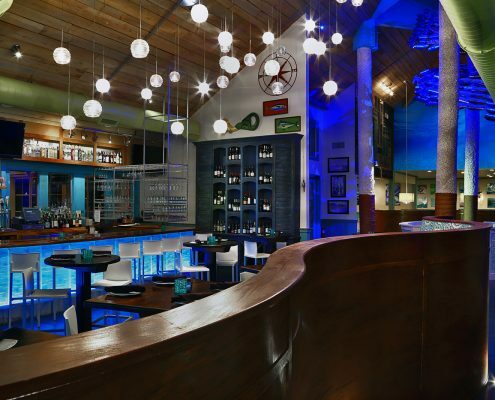 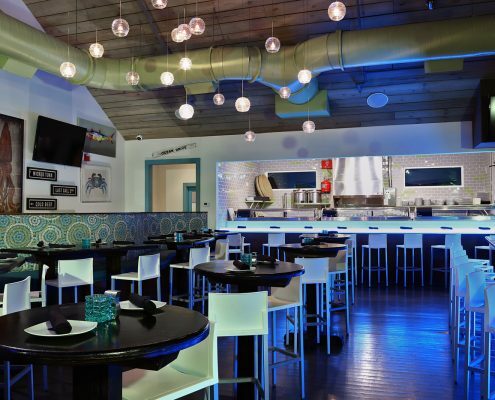 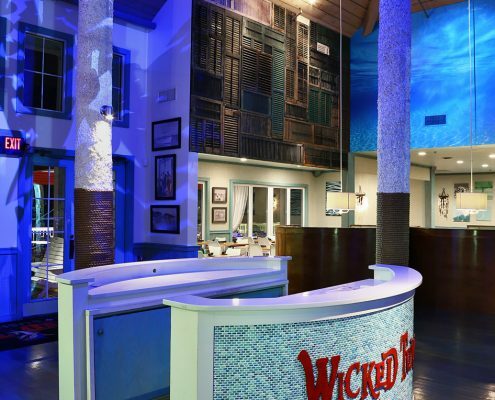 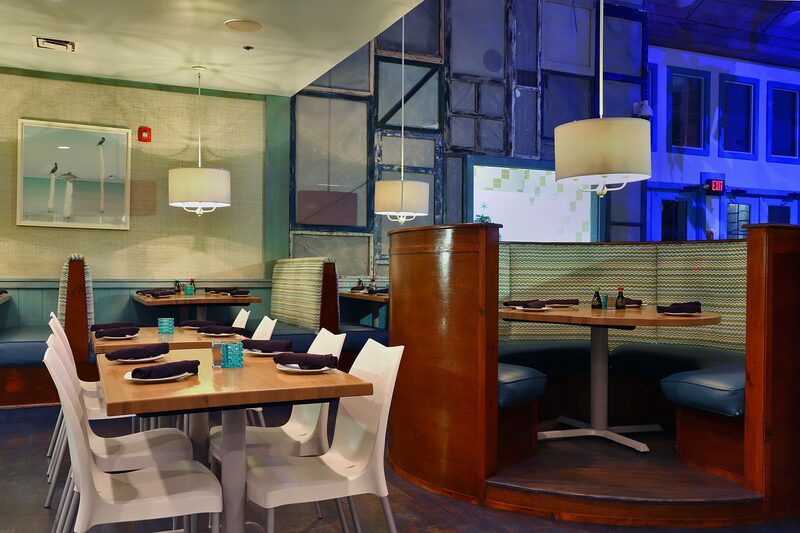 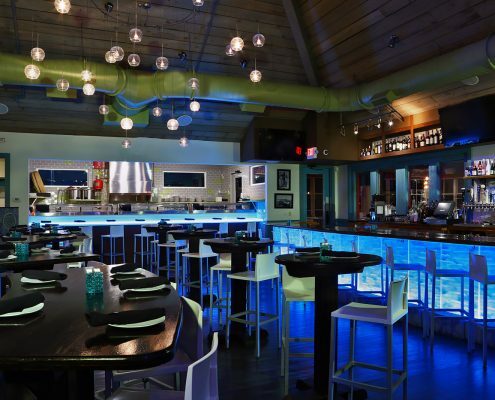 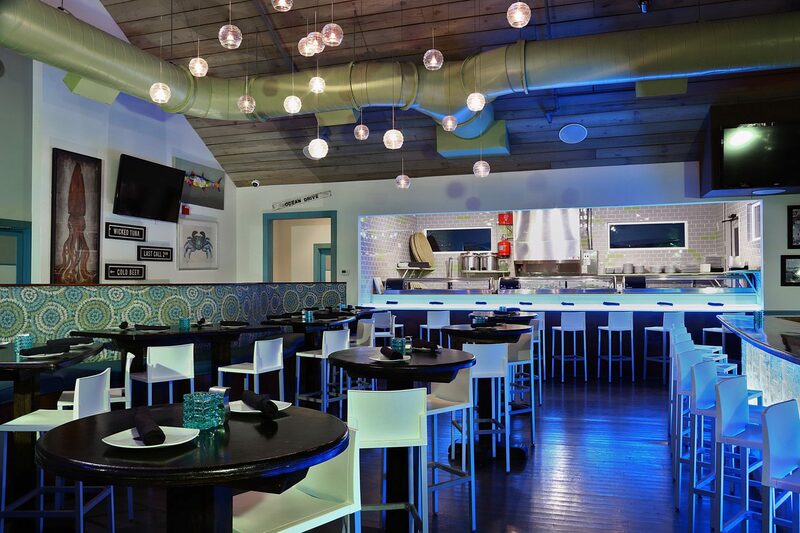 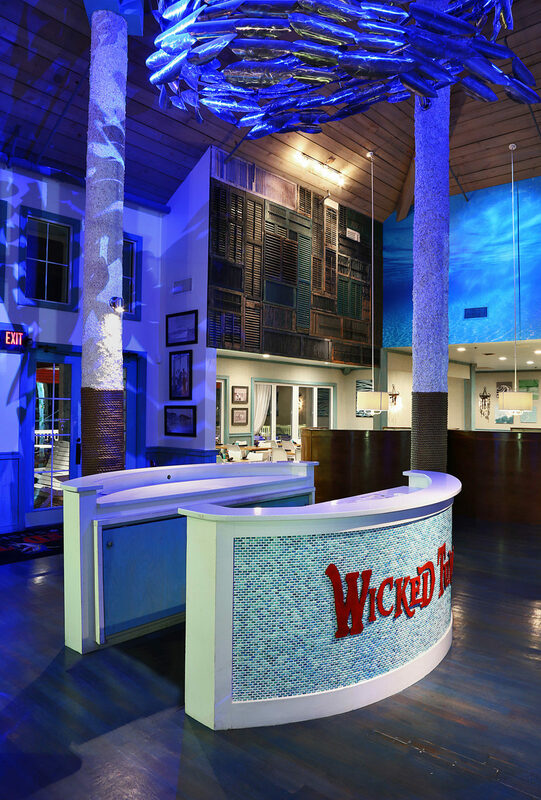 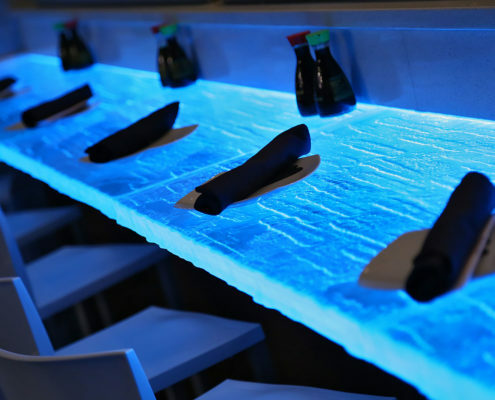 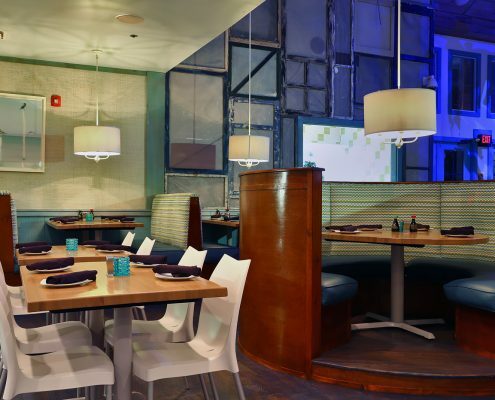 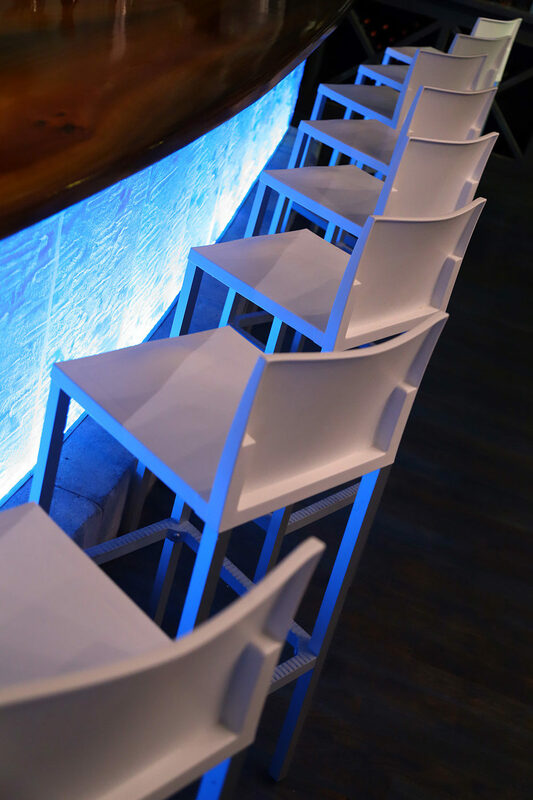 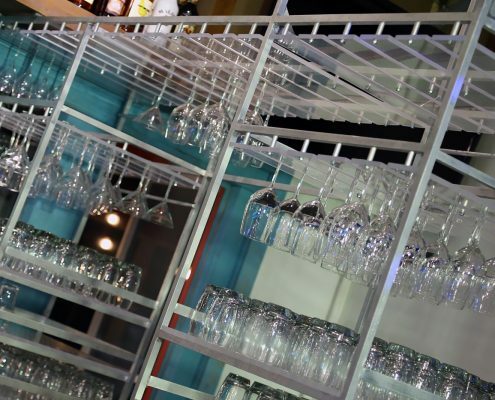 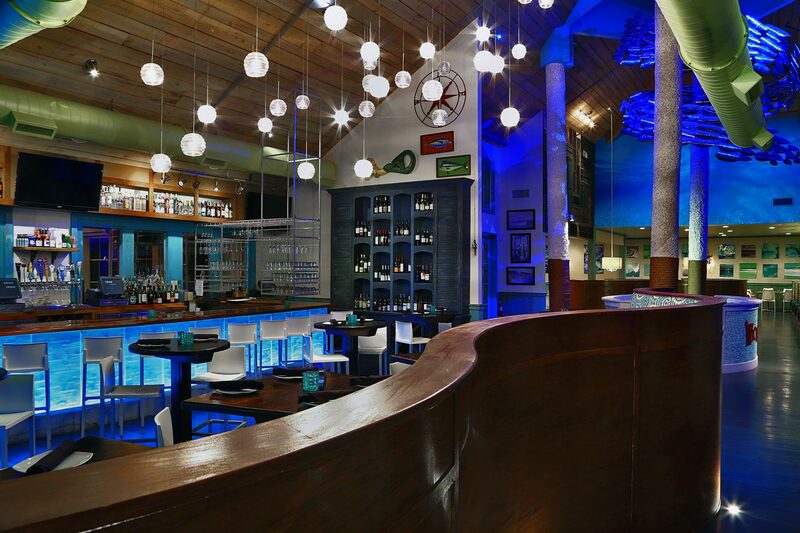 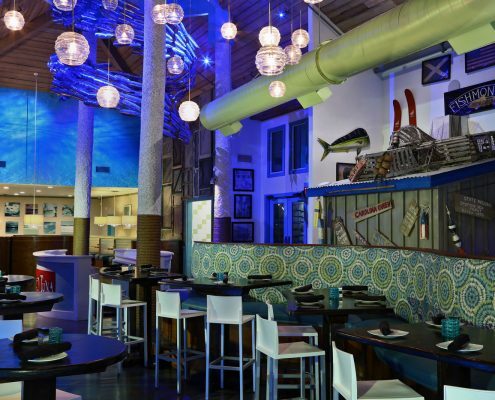 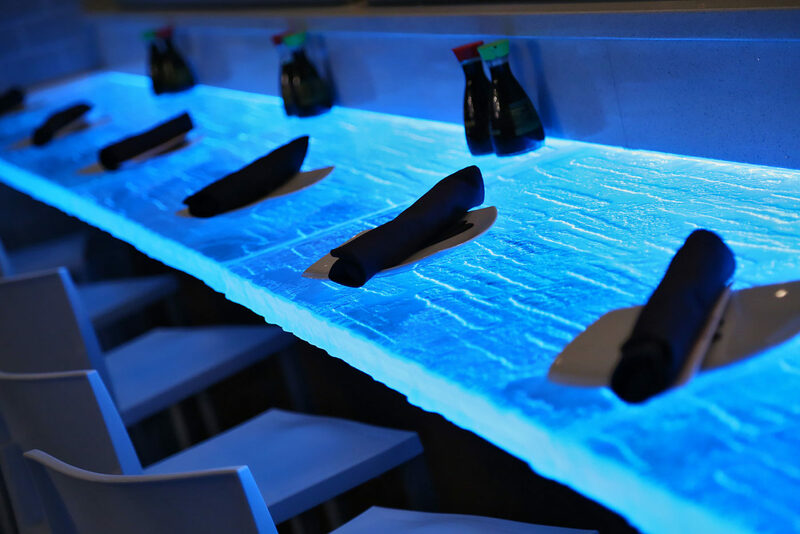 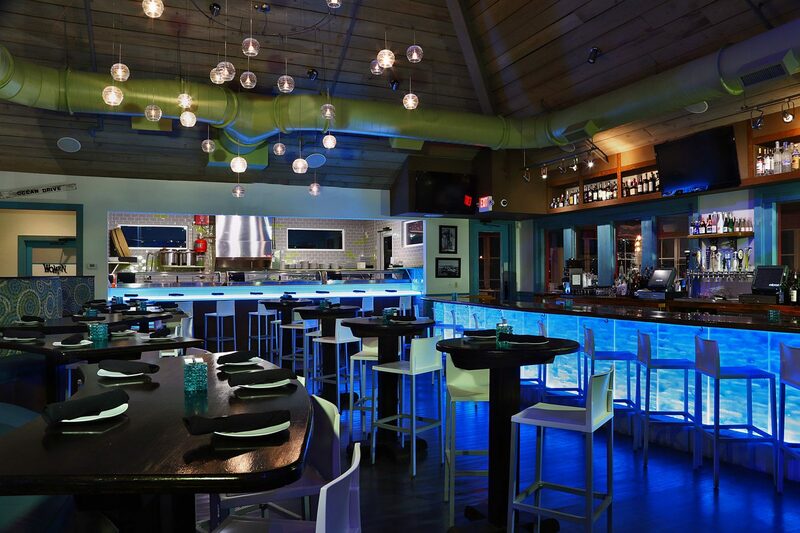 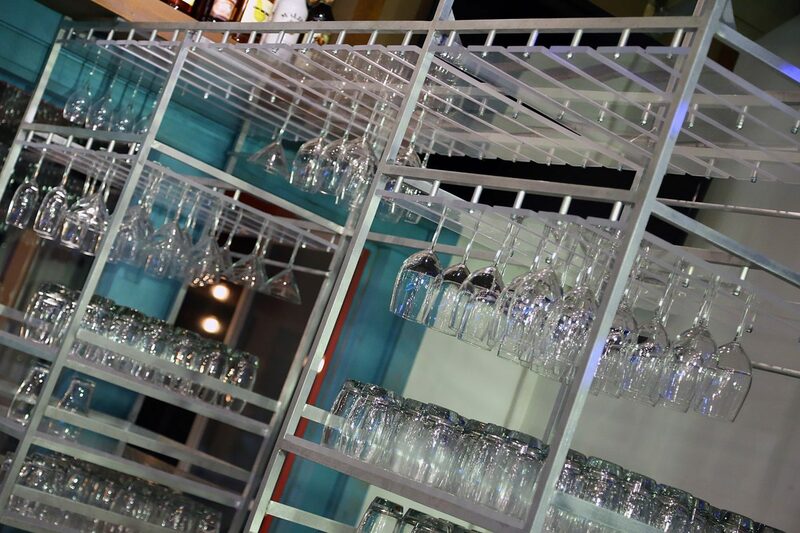 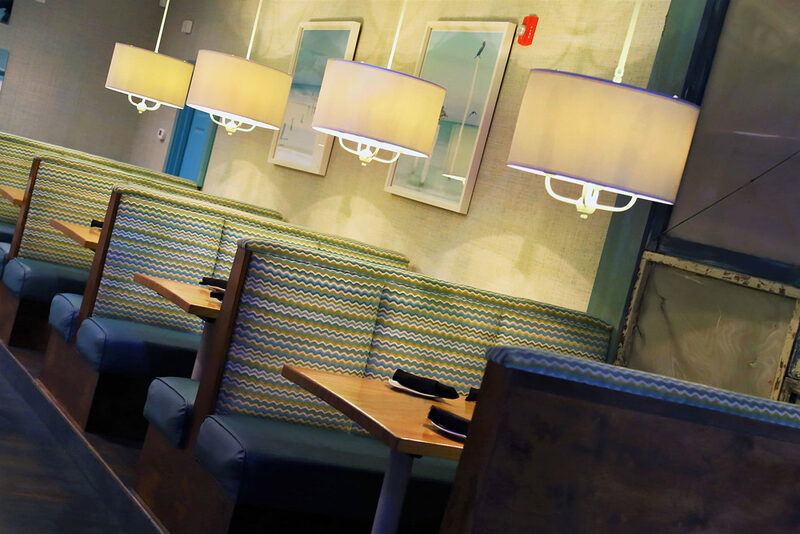 The bar front is an exquisite wave patterned, back-lit blue glass, while the sushi bar top appears as frozen water. 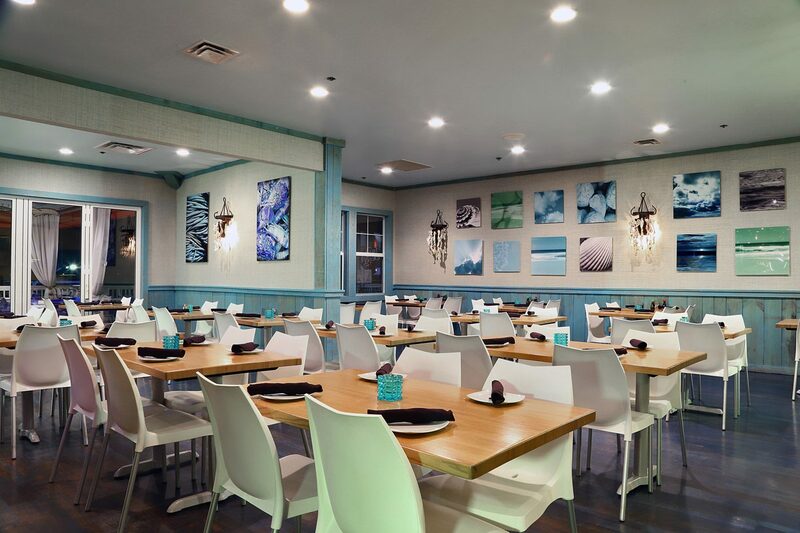 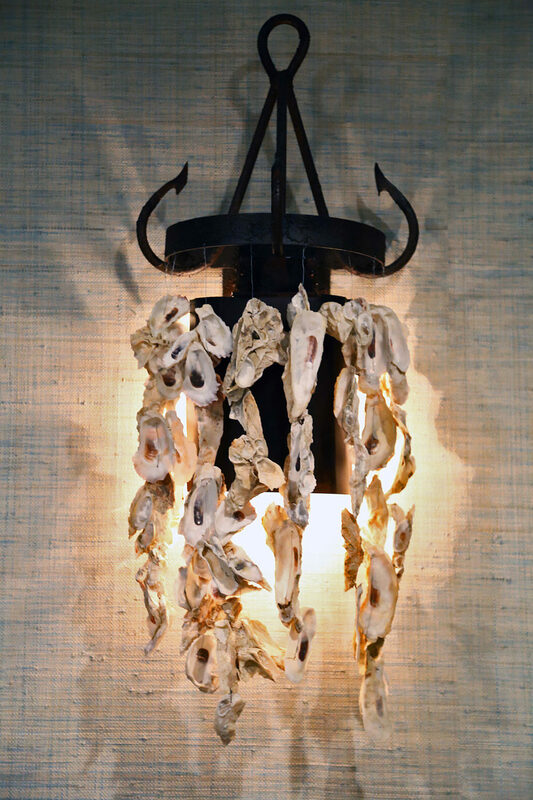 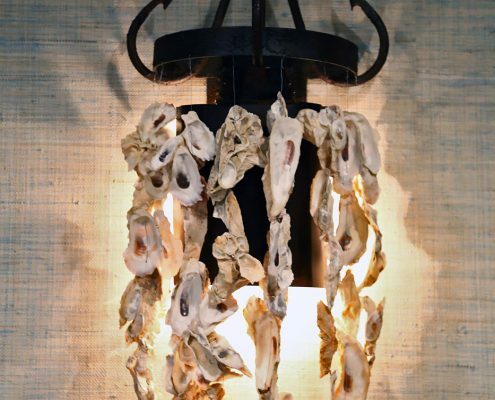 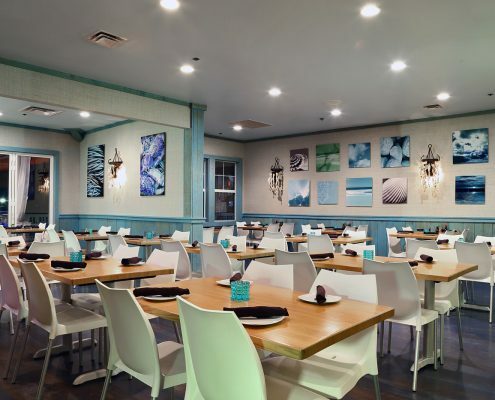 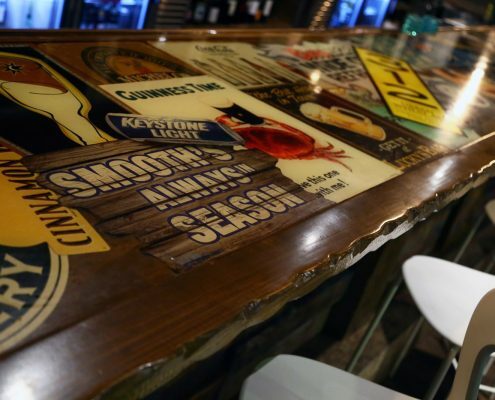 Being mindful of the surrounding community, areas of the restaurant are adorned with vintage photos of Murrells Inlet residents and fishermen. 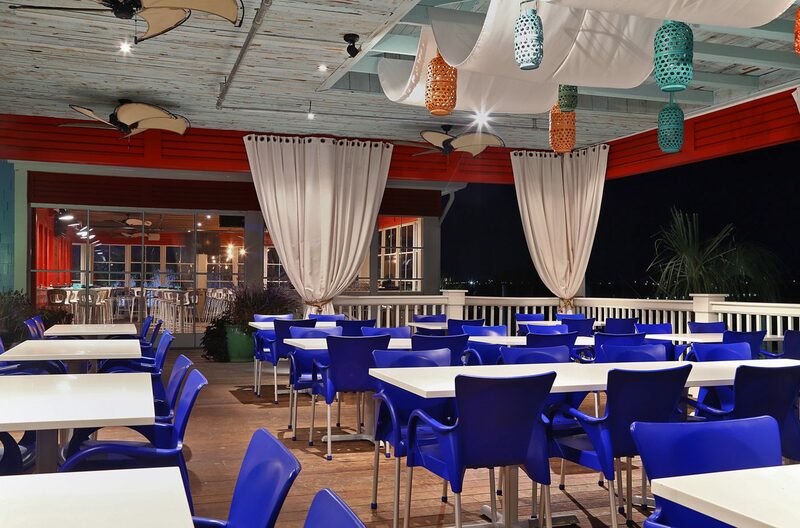 Seating on one of several relaxing porches present captivating views.